Meryl Streep‘s magnificent Maggie Thatcher well and truly matches Helen Mirren‘s remarkable Queen. It helps, of course, that the script is so well written by Abi Morgan, but to humanise this incredible woman is a great achievement, whoever you give the credit to. Of course, it is only her most obvious frailty that provides the window of opportunity. Morgan’s script capitalises on the ageing Thatcher’s senility, and I don’t think there is any other way really to bring the woman down to earth enough for an audience to relate to her as a character. The film lacks some of The Queen‘s zing. It creates magnificent character, but because of its broad sweep, it fails to create such a clear focus and the character is only just enough to cover the rather flat narrative structure. 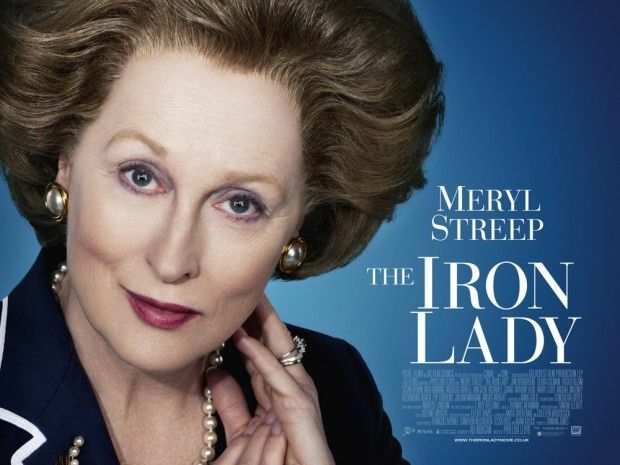 The Iron Ladyis a very good film, and one well worth watching. But just in case any of you Poms were thinking about it, I’ve now seen enough biographical films about your twentieth century politicians. They’re really not that interesting.